Savvy Spending: Free "Summer Screen Time Rules" Printable! 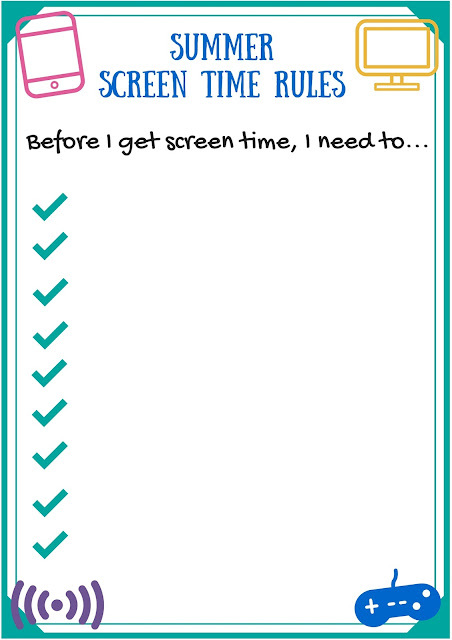 Free "Summer Screen Time Rules" Printable! 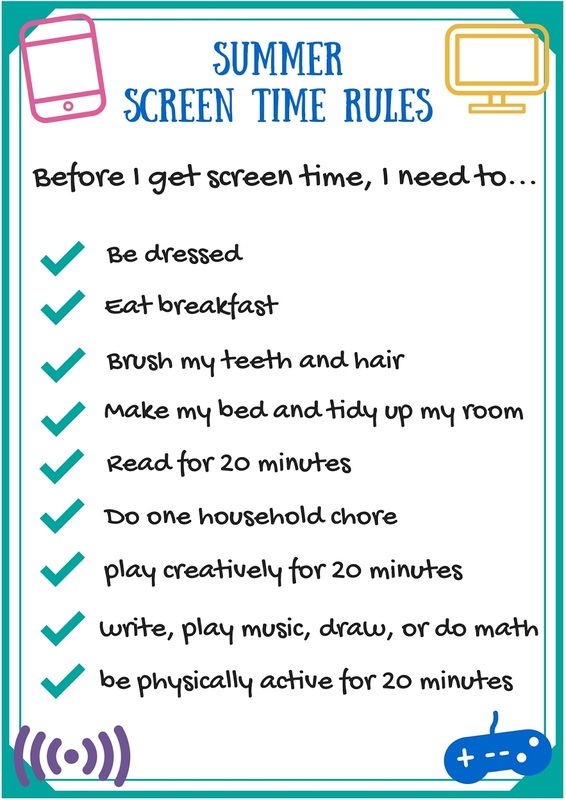 We've been on summer break for about 2 weeks now (our homeschool year finishes a few weeks before the public school does), so I'm re-posting the "Screen Time Rules". I'm also providing a blank one in case you want to customize your household rules. For example, maybe someone has to be on poop patrol for Sparky, or maybe screen time doesn't happen until after lunch at your house. Just write in your own requirements and slap that baby on the fridge! Print a blank one here. Know a few friends who may like this, too? Click the Facebook or Pinterest button below to share away!